Engine Rotation…. (Read More) - No matter whether you choose a longblock, power-package or complete turnkey bobtail engine the rotation of the motor is a critical item to know. Rotation with marine engines is always viewed from behind the engine looking towards the engine flywheel. Within the Marine Industry “Standard Rotation” (left hand) means the flywheel is turning counter clockwise looking at it from the rear of the engine, or another way to think of it is that the harmonic balancer will turn clockwise when standing in front of the engine to view it. “Opposite Rotation” engines (right hand) were common years ago however they have not been regularly produced today because the newer models of transmissions (Hurth & Velvet Drive) both have negated the need for this since the transmissions can rotate either direction without issue. 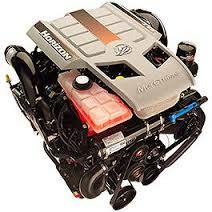 Marine Engine Longblock…. (Read More) - This is a great value based option for boaters with freeze damaged motors, or in the event that you experience any general engine failure but are not in the position to buy a completely dressed out turnkey bobtail engine. The term “Longblock” generally refers to the cylinder block & heads as well as the required internals of the engine which are called the rotating assembly of the engine. Longblocks being classified as non-complete engines are therefore not currently regulated by the EPA as the new complete turnkey bobtail engines are. Marine Longblocks are therefore NOT forced to come equipped with a Marine Catalyst System. Generally these marine longblocks do not include the intake manifold, engine circulating pump, or flywheel however this does vary when comparing new vs remanufactured longblocks. Depending on the brand of the longblock product and whether it’s a new or remanufactured longblock it may be supplied with the “Tin Ware” (oil pan, valve covers, timing chain cover) as well as some of these additional accessory items. Unless it is specified up front the remanufactured longblocks are almost never supplied with the “Tin Ware”, however new longblocks are normally supplied with the “Tin Ware” as well as the flywheel and harmonic balancer. The reasoning behind this variation in the content that is supplied with the longblocks comes down to cost control. The flywheel, balancer and tin ware are not considered to be items that normally wear out and need to be replaced. Therefore, the remanufactured longblock manufacturers do not include these items. NOTE: Please be aware that Marine “Shortblocks” are no longer available. The primary reason behind this was that the cost difference between a longblock versus a shortblock was insignificant versus the significantly higher number of warranty issues that resulted with shortblocks. The two primary reasons for the higher number of warranty issues was driven by the fact that the shortblocks cannot be fully tested after manufacturing like the longblocks can. The other reason was that when existing cylinder heads that have valve seating issues were installed onto a new shortblock it almost always causes serious longevity issues to the engine which is out of the direct control of the manufacturer. IMPORTANT: When repowering your boat by replacing the longblock it should be noted that none of the manufacturers will cover warranty for ANY water ingestion related failures. Therefore, if you are replacing a longblock due to freeze damage you need to either be 100% sure your exhaust system (Read More…) is not cracked, or it is simply recommended to just replace the exhaust to be safe. We also recommend replacing your engine coupler (Read More…) whenever replacing the longblock. The coupler is an item with a specified life span since it transfers the power from the engine to the sterndrive or transmission. The coupler is much like a clutch in a manual transmission automotive application and it can only be replaced while the engine is out of the boat. Power Package…. (Read More) - These products are also referred to as Par-Pac’s which is short for “Partial Package”. These terms all refer to the growing market for partially completed engines. These range from new longblocks with the marine fuel and electrical systems already installed, but due to the EPA Guidelines they do not include the exhauust systems as that would require them to be supplied with Catalyst Systems. Just like the New Longblock products detailed above, Power Package’s are classified as a non-complete engines and therefore they are not regulated by the EPA like the New Completely Dressed Bobtail Engines. 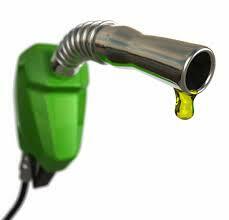 Therefore, the Power Packages are NOT forced to come supplied with a catalyst system. The main selling point of the Power Packages is that they work great for the customer needing a replacement engine product, but most of their ancillary accessories are still in good shape and don’t need to be replaced. Two other great applications for the Marine Power Package are when you are replacing a 5.0L and want to the larger displacement and performance of the 5.7L engine, or when you are replacing an older pre-1996 260 Hp 5.7L and want the additional performance offered by the 300 Hp Vortec 5.7L engine model. Bobtail Marine Engine…. (Read More) - This term generally refers to a new or remanufactured, completely dressed “turnkey” engine. NEW Bobtail Engines require more hurdles to jump over due to the EPA Repowering Guidelines as outlined in STEP #1 of the Boat Repowering Guide. Depending on the manufacturer of the product in question these “Bobtail” products generally come complete with fuel, electrical, cooling, and exhaust systems as well as the engine mounts and bell housing which makes “Bobtail Engines” ready to drop right in when replacing completely “worn out” engines. Turnkey bobtail engines are classified as complete engines so as of 2010, NEW Bobtail Engines are in fact regulated by the EPA and now forced to be supplied with a catalyst system (Read More). In an effort to combat the introduction of the EPA regulations in 2010 MerCruiser introduced their PLUS Series (Read More) and CPO product lines (Read More) for Bobtail Marine Engines, Sterndrives and outboard motors. All of these product lines have proven to be be extremely successful since their introduction. For the obvious benefit of working around the EPA issue that requires the catalyst system and controls, the CPO and PLUS Series product lines now makes up the vast majority of repowers that require a completely dressed motor to be used. When the condition of the existing engine in your boat you are replacing dictates that a complete bobtail engine is required, you will first need to determine if the existing engine drive coupler can be used, and then if the existing sterndrive or transmission will couple directly to this. In many cases, if the engine you are replacing is more than 15 years old you will likely have to change out the main engine electrical harness connection plug because these have changed over the years. It is also common on these 15+ year old engines for the exhaust system to have changed since the exhaust systems went changed from 3 inch to 4 inch outlet designs to accommodate the increasing levels of engine output. Complete Package – This term refers to the combination of a New, Completely Dressed Bobtail Engine, and in the case of a Sterndrive Package it would include the Transom Assembly/Shield (sometimes also referred to as the Gimbal Assembly) along with the Sterndrive. For Inboard Packages it would include a New Engine and the Transmission. Select this link to read more about Sterndrives versus Inboards. “Complete Packages” is a term that is normally reserved only for NEW products, and NOT the CPO or PLUS Series lines of remanufactured marine products. You could put together a “Complete Package” using either the CPO or PLUS Series products or a combination of remanufactured and new, however you would have to separately purchase the trim pump, exhaust Y Pipe and a few other additional accessory items to match the same level of content that is/was supplied with the “New Complete Packages”. NOTE: Most manufacturers do not sell Complete Packages today rather they sell everything a la carte between the engine, sterndrive, transom assembly and/or transmission. 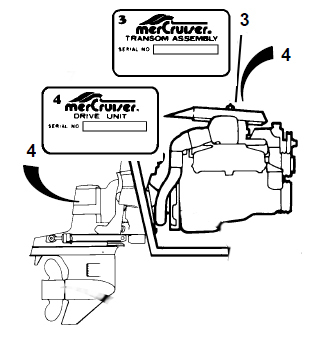 You still end up with an all New Complete Package in the end, however unlike it was in the past you have to piece the package together item by item by selecting the specific engine + sterndrive + transom assembly. Sterndrive…. (Read More) - This term refers to the drive or propulsion system on Inboard/Outboard powered boats. Therefore, this labels teh drive system itself which incorporates an engine inside of the boat, along to a drive unit that mounts onto the transom and is located outside of the boat. The different sterndrive designs used to power these “Inboard/Outboard” boats can utilize either single or dual propeller drive designs. Two manufacturers; MerCruiser & Volvo Penta make up roughly 99% of all the OEM sterndrive sales worldwide. Transom Assembly…. (Read More) – Also referred to as the gimbal assembly or transom shield in the case of Volvo Penta products this term refers to the connection point between the engine and sterndrive on Inboard/Outboard powered boats. The transom assembly includes both a plate that mounts on the inside of the boat and incorporates the rear engine mounts. The transom assembly also includes the exterior portion you see visibly on the outside of the boat. The transom assembly contains the sterndrive bell-housing and is what allows the range of motion necessary for the drive to not only steer from left to right but also the upward and downward articulation. Since the transom assembly is teh connection point of the engine and sterndrive it is also what the main alignment point between the engine and drive by way of the “Gimbal Bearing” Checkout the following article and video regarding proper drive/coupler alignment…. (Read More). 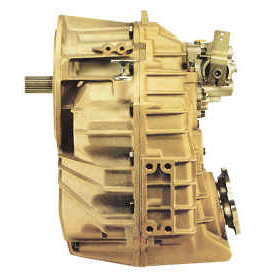 Transmission – Also referred to as the gearbox, this is the drive system on inboard powered boats. These typically come in different gear ratios and also different output flange angle configurations as required by specific prop shaft angles. These output flange variations include inline, down angle and V-drive configurations. Select this link to read more about Inboard Drive Variations. Helpful Hint – Be aware that most early twin engine powered inboard boat models used the cast-iron-body version of the Borg Warner Velvet Drive transmissions. These transmissions were then used in combination with 1 standard rotation engine and 1 opposite rotating engine. With the early version Twin Engine powered boats there were very few options available for the propshaft angle. Therefore the engine had to be installed such that the crankshaft was also at the required prop shaft angle. In the early 1990’s the bi-directional ZF Hurth and Velvet Drive 5000 series aluminum body transmissions were introduced which very quickly negated the need for opposite rotating engines. 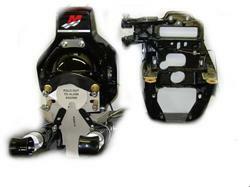 Therefore if you are looking to repower an older boat that includes the above described engine & transmission setup with a completely dressed bobtail engine, this creates an issue due to the fact that the newer style transmissions do not share the same mounting configuration but the newer engines do not offer an opposite rotation model. Therefore, you get stuck having to rework the stringers in the boat to accept the newer style transmission mounts and position. The engine is mounted inside the boat. The transmission/drive unit is outside, attached to the transom. The engine and drive unit are joined by a torque coupler and universal joint. Angling the drive steers the boat. The engine and transmission/drive unit are inside the boat. A drive shaft is connected at the rear of the transmission and is run out of the hull through a sealing unit. The propeller is connected directly to the drive shaft at the in-water end. A separate rudder steers the boat. Basically a modified inboard installation. The engine is mounted with the front (pulley end) facing stern (rear). The transmission faces the bow (front) and by the use of a universal joint on the end of the transmission, the drive shaft is directed stern-wards under the engine and through the hull. The propeller/rudder arrangement is the same as in a standard inboard installation. The engine is mounted inside the boat and attached to a high speed pump which draws in water through an intake grate, increases its velocity and forces it out through a directionally adjustable nozzle which is mounted outside the boat. Changing the direction of the nozzle steers the boat. GM produced 2 different 3.0L model marine engines up through 1994. They were both 3.0L Marine Engine models but had different cylinder heads which is where they got the different performance levels; 120 (large oval port head) and 140 Hp (small rectangular port head). They however do range the ratings on them so you could have one version that was previously rated the other version in previous years. Starting in 1995 all that GM produces is the 140 Hp longblock. The new 3.0L longblocks are offered to be used as a replacement either way for which ever version of the engine that you have. Since the 3.0L marine engines are not used in automotive applications there aren’t enough cores to support a good remanufacturing option in our opinion. Regarding this particular engine we only supply new longblocks which do not require a core deposit. There are several other benefits in this case with the 3.0L being that this is the exact same engine which is/was used by Mercruiser and Volvo Penta to build their respective products. Another great benefit with the new longblock is that General Motors began supplying the engine with a new electronic ignition system to address the historical issues this engine suffered with head gaskets failures due to detonation. Therefore with the new 3.0L longblocks you get the new longblock assembly but also the water pump, distributor, coil, ignition module, plugs and plug wires. 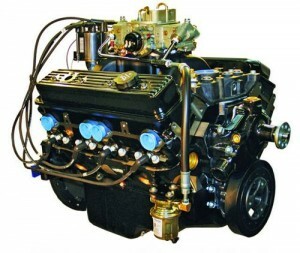 If you need more than a longblock you will have to begin looking towards a complete turnkey engine known as a bobtail engine. Question: How do I replace my damaged longblock with a new marine longblock or remanufactured marine longblock? Since 3.0L marine engines are not used in automotive applications there aren’t enough engine cores to support a good remanufacturing option. We only supply new 3.0L longblocks which do not require a core deposit. The other benefit of the new engine is that it includes the new electronic ignition system that GM released in the mid-90′s to address several of the ongoing quality issues that plagued this engine over the years. There are two (2) solutions to this common problem of replacing the 3.0L marine engines, however, there are many factors affecting the final direction to proceed with. Up through 1991, the engine was produced with a two-piece rear main seal and a 12-3/4″ flywheel. 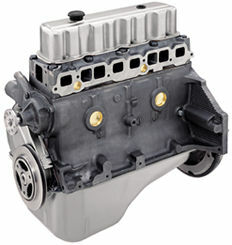 Then in 1992, the engine was produced with a single piece rear main seal. Finally in the year 2000, GM upgraded to a 14″ flywheel which is how the engines are currently being produced. If your existing engine was built before 1992, you will need a 12-3/4″ flywheel that matches the two-piece rear main seal, so that you can re-use your existing coupler and starter. If your engine was built between 1992 & 2000, you can re-use the flywheel on your existing engine. If your engine is not an OMC Cobra engine vintage, it will require that your existing coupler be re-machined to allow it to fit up properly to the 1 pc rear main seal configuration 12-3/4″ flywheel. We can help with this as well. If your engine was built after 2000 you can use the flywheel that comes with the new or remanufactured longblocks. We have an option for a 12-3/4″ flywheel to go on this engine as well. If your engine was a large port engine, or the 120 hp built up until 1994, you will also need the exhaust manifold conversion adapter which converts from the old style oval port head to the higher hp rectangular port head, which is the only head being produced today. Another option is engine conversion kit that can be used with your existing Mercruiser or OMC Cobra/Volvo SX 3.0L engine. These kits include an engine, flywheel, exhaust manifold gasket, fuel pump, and coupler as a complete kit. This is a large amount of information to digest and may be a little confusing as these blocks are very hard to come by today, and versus remanufactured products having a new 3.0L longblock is always a better longterm option. In our opinion the best quality option is a new 3.0L straight from GM, which has the 14″ flywheel.